After January’s success and February’s failure, this month I’m hoping to achieve more of an even keel. With some very fun trips planned, a music festival and lots of catching up with awesome folk planned, it should be a super month. 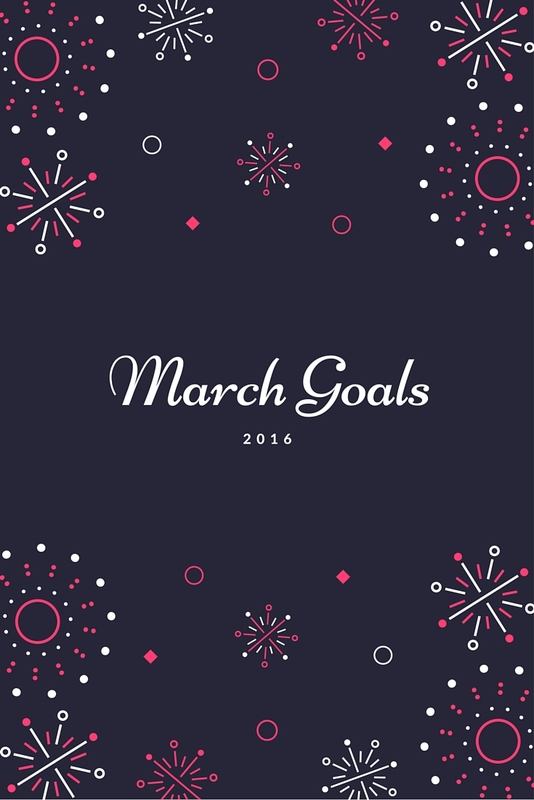 Here are my goals for March! 1. Read five books. With ten done so far this year I’d love to stay on pace. 2. TIDY MY STUDY OH MY GOSH THE PILES OF PAPER. 3. Blog at least twelve times in March. In February I managed to get ten posts done, despite interning a lot. I hope that I’ll be able to keep pace in March, a busy month of a different kind! 4. Research our trips away and plan some fun elements! I meant to do this last month – as they are now very soon I need to pull my finger out. 5. Get back into recording my food on MyFitnessPal. When this slips, I slip. 6. Go through and fix some of the broken links on my blog. Dull, but necessary! 7. I would like to donate at least 35 items of clothing, shoes or accessories, either to our #theLBDI drive or to the PDSA shop where we take our casual clothes (as well as books, household items etc). 8. I’d like to work out for at least twenty minutes (dancing, swimming, rowing, elliptical) or walk for more than 90 minutes on six occasions this month. I’m hoping a target this wee might be easier to attain. 9. I would like to lose five pounds. C’mon scale, c’mon! I've been working on my broken links, to be fair it feel satisfying to get them done! Go Claire go, you can do it! !